My name is Amy Prais, I have been practicing yoga since 2006. In May of 2014 I graduated from Yoga Gyan Jyoti Center for Yoga and Ayurveda with a 200 hour yoga teacher certification. Since then I have continued my education, and in September of 2015 I graduated from Amala School of Prenatal Yoga with an 85 hour prenatal yoga teacher certification. My latest course was the iRest Yoga Nidra level I training which I completed in November of 2016. I am registered with Yoga Alliance. I encourage personal body awareness and emphasize working at your own pace to maximize individual growth. I strive for a warm, approachable teaching style, and with over 1,000 hours of teaching experience I excel at giving clear instructions for the beginner, safe modifications for those with limitations, and options for advancement for those seeking a challenge. My classes are varied in focus with a wide variety of postures. We will work on strength, flexibility, balance, and core awareness, while fostering a sense of calm through breath and mindfulness. 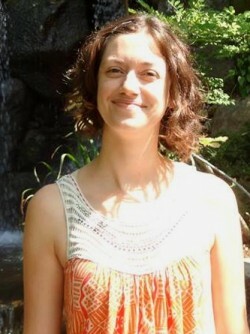 Amy currently teaches Yoga-All Levels Monday Evenings 5:15-6:30pm and Yoga-All levels Wednesday Evenings 5:45-6:45pm. Please see our calendar for more information or call our front desk at 815-758-5508.